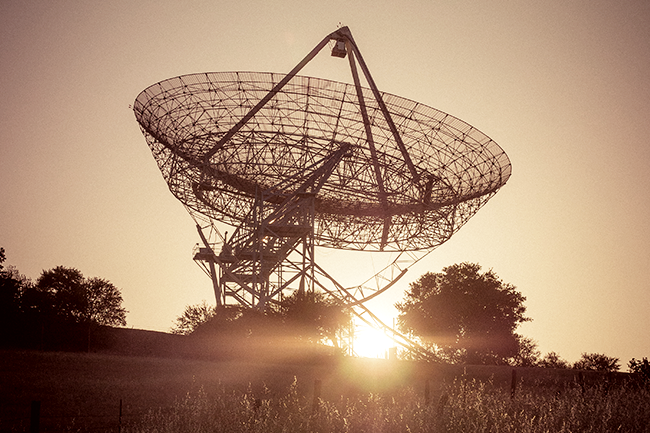 With the promise of increased connectivity and wider reach, satellites are becoming a star attraction. The satellite industry in Africa is currently experiencing a wave of renewed activity, with satellite operators investing heavily in new satellites and infrastructure, and proclaiming satellite to be the future of ubiquitous connectivity on the continent. The year ahead is set to see a number of new satellites launched to serve Africa, while data is increasingly being kept on the continent as opposed to routing it through other regions. These developments all serve to position satellite as a reliable, cost-effective and state-of-the-art solution for connectivity in Africa, with satellite operators insisting their services will support growth in even the most remote parts of the continent. Global satellite provider Intelsat is one such operator that is scaling up its African operations. Active on the continent since 1965, the company invested US$2 billion in the region between 2008 and 2014, and currently has 25 satellites serving African customers, with a further two to launch this year. One will serve the media landscape. Intelsat provides critical infrastructure for fixed and wireless telecoms, data networks for enterprise and government applications, and the company’s cellular backhaul customers include the top 10 mobile groups in Africa – representing 81% of the region’s subscribers. Intelsat regional vice-president of sales in Africa Brian Jakins says the company aims to support its telecoms network clients in rolling out communications services across the most remote parts of the continent. Meanwhile, for its media customers, Intelsat will be supporting the digital-migration process. ‘We will continue to offer network operators our fully integrated satellite solutions that will help them enhance their capabilities and cost-efficiently extend their networks to remote areas. Our new Intelsat EpicNG platform will enable mobile network deployment to the most remote areas, more quickly and cost-effectively than ever before,’ he says. ‘This is because, with our spot beam technology, the size of the kits necessary to receive the satellite signals is shrinking, making them easier to carry and install. This advance will enable customers in Africa to deliver broadband connectivity to communities and businesses where it was not economically feasible to do so in the past. Intelsat is not alone in planning new satellite launches in Africa. UAE-based satellite services provider Yahsat plans to launch its third satellite in early 2017. Al Yah 3 will extend the company’s commercial Ka-band coverage – and with it, higher broadband – to just under 20 new African markets, effectively tripling its existing presence across the continent to cover 60% of its population. ‘With investment, trade and industry set to continue to grow in Africa, having access to the internet and the potential for reliable, broadband connectivity via satellite is high,’ says Yahsat chief commercial officer David Murphy, adding that the connectivity Al Yah 3 will afford is expected to contribute to the socio-economic development of the region. Hellas Sat also plans to introduce two new satellites to its fleet in the near term, serving South Africa and the SADC region primarily, and connecting the continent with Europe and the Middle East. ‘Due to the strength of our satellite coverage in the area, a greater throughput surplus of up to 72% can be achieved, meaning that our customers need less bandwidth and costs to achieve the same results, when compared to other satellites in the region,’ says Christos Papachristos, product and marketing manager at Hellas Sat. ‘Through the launch of these two new satellites, we will be able to support in-flight redundancy, as both of them will be “co-located” – they will both be at the same orbital position of 39 °E. ‘Our customers will be experiencing the best possible redundancy – [should there be] a service failure, the other satellite will be able to take over in minutes and not in many months, as in the case of our competitors, which will need to manoeuvre a satellite to the relevant orbital position,’ he says. Papachristos adds that the two new state-of-the-art satellites will have a stronger footprint by at least 3 dB – commonly known as ‘double the power’ – bringing internet and connectivity costs down to a much lower level. The new satellites will offer a single footprint over the complete region as opposed to small concentrated beams, so that customers will continue to need only one uplink and one downlink frequency over the whole serviced area, making it easy to operate with their current ground equipment without any need for additional investments for the upgrade of present hubs and remote terminals. Investment is not concentrated solely in the launch of new satellites, however. As demand for connectivity continues to grow, Liquid Telecom is investing heavily in African infrastructure, recently pumping US$3.5 million into its new satellite hub at the Teraco Data Centre in South Africa. It offers a satellite service with speeds of up to 50 Mbps, top-rated for latency and at a reduced cost. With this investment, Liquid Telecom has become the first provider to build a satellite hub at Teraco’s station, enabling African data to be kept within Africa. This way, African data is routed locally – as opposed to many operators who route data through stations located outside the continent – the result being reduced latency and increased internet reliability. ‘We will continue to invest so that all of our customers continue to receive the fastest, most reliable and cost-effective satellite service in Africa,’ says Scott Mumford, head of satellite and VSAT at Liquid Telecom. The operator says it has achieved full satellite coverage of sub-Saharan Africa, including even the most remote parts of the continent, and with the vast majority (97%) of the company’s satellite traffic within Africa. However, according to Thecla Mbongue, senior research analyst at Ovum, the number of broadband connections via satellite has seen a decline in Africa over the past five to 10 years, as a result of the rapid growth of mobile connections. Satellite, she believes, now retains the most relevance for the business and corporate segments. With regard to rural connectivity, Mbongue believes the price of satellite terminals is still too high for it to be a real solution for connecting remote communities. ‘In terms of rural services, satellite has the advantage of total coverage compared to mobile or fixed networks that need to be rolled out. The price of satellite terminals is still prohibitive for the majority of low-income rural dwellers,’ she says. Satellite operators disagree, saying their solutions hold the most viable answer to connecting rural regions of Africa, while advances in technology are also bringing the costs down. The operators argue that through the right combination of innovation and partnerships, the cost of reliable, cutting-edge satellite services can be made attainable. ‘Satellite is fundamental to improving connectivity coverage in rural areas and everywhere in Africa,’ says Jakins. ‘The 2G market in Africa still has a long way to go, even as many base stations are being upgraded to 3G and 4G. Connecting these remote areas is best achieved by satellite, and now that smaller, more portable kits can be used with our Intelsat EpicNG platform, connecting those communities will become easier and more cost-effective via satellite. ‘Intelsat is focused on making access to satellite solutions easier than ever for enterprises and communities. To that end, we have entered into groundbreaking partnerships with antenna providers and others to develop new technologies and business models to benefit our customers,’ he says. On the other hand, Mbongue says satellite is the dominant technology for the pay-TV landscape in Africa, with Ovum estimating the number of pay-TV users via satellite at more than 37 million out of 41 million subscriptions at end-2015, and this number in many cases does not include pirate and informal usage. As such, moves along the lines of Intelsat’s new ‘media satellite’ launch – aimed at supporting the media landscape across Africa – appear to be well-placed to respond to market trends.